If you’re a board game geek, you’ve probably heard of the game Dominion and its ever-growing list of expansion packs. That’s because it’s an excellent board game and everyone who plays it feels the need to pass that message on. 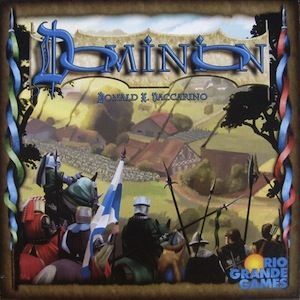 If you haven’t ever played it, you can check out the Dominion game on the Rio Grande Games website (including a PDF of the Dominion rules) and Dominion on Board Game Geek to get a better idea what it’s about. In short though, it is a deck-building game where each card you pick up determines what you can do each turn. 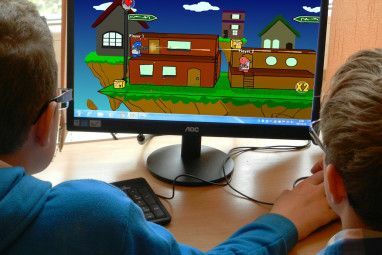 Because of Dominion’s card-based simplicity, it is relatively easy to create computerised versions of the game. This is fantastic for fans who just can’t get enough of the game – and especially for those of us trying to decide which expansion packs to buy next. It’s nice to be able to try before you buy! The expansion collection includes Intrigue, Seaside Cornucopia, Hinterlands, Prosperity and Alchemy. Each deck has over 30 different cards, so sometimes it does take rather a long time to even decide which cards to play with, let alone set up a game. This is where apps can really help! Dominion Shuffle [No Longer Available] is the most sophisticated Android Dominion application for deciding which cards to play with. It allows you to choose which decks to work with, set minimum and maximum values for certain types of cards (for instance, attack cards, defence cards, treasure cards or cards costing 3 coin), keep certain cards in or out as you wish and to keep the set-up ready for the next time you want to shuffle. There are many other Dominion shuffling applications for Android (see more Dominion shuffle apps here), but Dominion Shuffle is the only one which also hooks into Androminion. This is a huge plus! Once you’ve shuffled and worked out the perfect playing deck for your mood, enter your “Menu” and choose “Launch Androminion”. 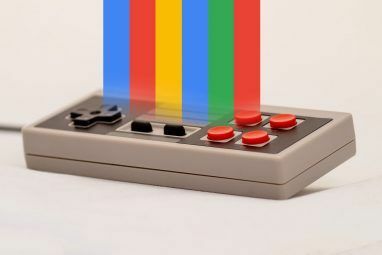 Now you’re ready to play! Androminion [No Longer Available], as you may have guessed, is a fully functional Android version of Dominion, featuring all expansion packs. It’s open-source and up for criticism, but generally it works really well, repetitive things can be automated a little and the AIs are pretty decent. It looks a little small and confusing, but you can press and hold on any card to get a description. If you want to play Dominion against real-life players in real-time then check out the online version of Dominion. You can play against anyone in the Great Hall or you can set up a Secret Chamber to play against your friends. You can choose your preferred decks, preferred cards, hated cards and more. Dominion is also available on iPhone and iPad unofficially in the iTunes store. Rio Grande have apparently got their own version of the game for iOS in the works, but this one will do until then. There’s also an iOS shuffler application called Dominion Agent to help you with your real Dominion game set up. 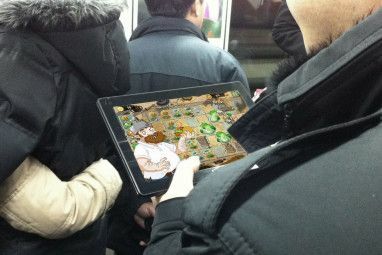 Also check out other games we’ve written about – board games; online games; Android games; and iPad games. Which Dominion apps do you use? Which expansion packs do you love best? Is there a particular card you hate? Let us know in the comments! I love Dominion! I used to play on Isotropic all the time with my friends. The creator/designer of Dominion even uses a hidden section of Isotropic to test out new cards for future expansions. Very cool!